The latest rage in Moscow, Idaho is the sighting of an immigrant that shouldn’t be here. A Northern Hawk Owl (Surnia ulula) has been spotted in Moscow across Rt. 8 from the Safeway parking lot. The earliest sightings on eBird show that this individual has been hanging around since Tuesday, reliably in the same spot. This is an exciting discovery because the Northern Hawk Owl isn’t supposed to be seen this far south. It’s native range is exclusive to Canada, and visits to the United States are few and infrequent. It’s unclear at this time how long the owl will stay in Moscow. 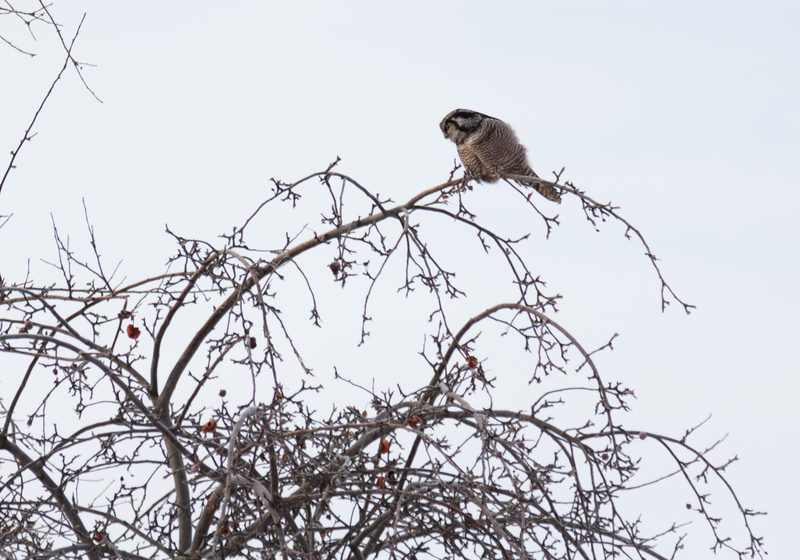 It’s likely to be a short-term visit, though some Hawk Owl sightings in other locations have lasted an entire winter. With any luck, it’ll hang around long enough for me to get some more photos, and maybe even procure a nice telephoto lens to shoot it with. I expect that this sighting will bring in birders from across the northwest, and even beyond, who wish to add such a rare and magnificent species to their life list. 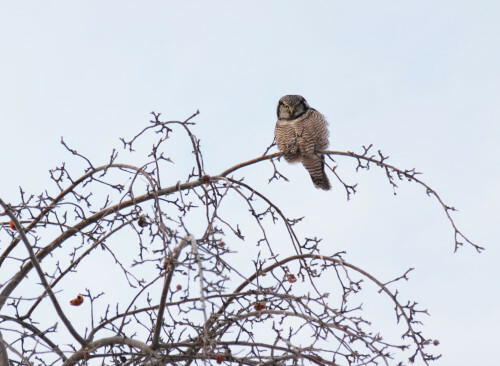 For birders and wildlife enthusiasts who live in Moscow, we are incredibly fortunate, for an opportunity such as this may only come around once in a lifetime. 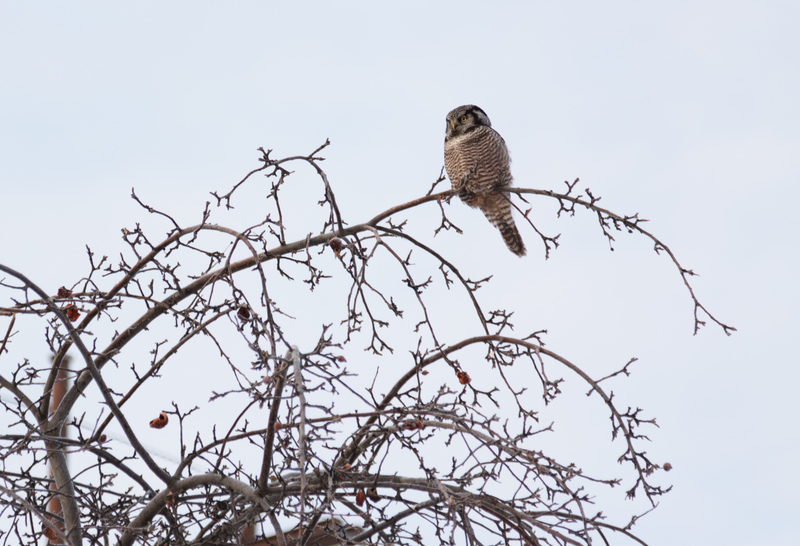 The Northern Hawk Owl belongs to a minority group of owls that are diurnal, hunting during the day rather than at night.